Hello everyone!! I’m here today with a new found love of mine. I recently started keeping an art journal and I’m having an amazing time with it. I’m a beginner and I totally love getting my fingers dirty with paint!! It is totally freeing to just play! Once I finished getting my paint down and dried, I used Lavinia Stamps to add my magical garden. I love how this turned out!! I love that I created it!! I can’t wait to give this a try again. I’m such a clean and simple crafter that when I see pieces like this I’m amazed. It all makes sense to me now. I’m going to enter this into the Craft Stampers Take It Make It Challenge. I miss those ladies so I’m stopping by to share my work with them. I hope I’m able to amaze them. Hello everyone!! 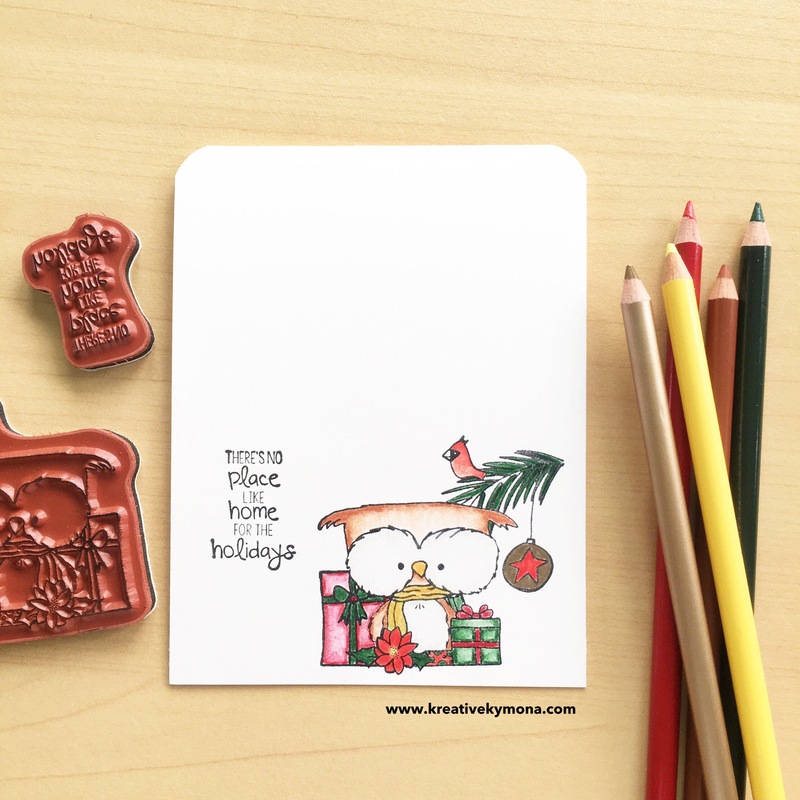 I’m here today with CS Take It Make It Design Team for our CS Take It Make It: Take a Stamp Challenge for the month of December. I’m so sad to say that this is my last post as a CS Take It Make It Design Team member. I want to thank Trish for the opportunity to be apart of this amazing design team since 2014!! This was one of my very first design teams and I’ve had a blast. It was a hard decision to step down but it’s time for me to focus on other things. I hope all of you continue to play along with this challenge because its super fun. I will participate from time to time when I can. Maybe I could win one of those fabulous prizes, LOL!!! Well enough of this mushy talk, let’s get on with the challenge! This month’s theme is Snow and Ice!! Create a seasonal project or use lots of white products! Think gesso, embossing paste, white paint, embossing powders and glitters. Just remember to include a rubber/polymer stamping on your project somehow, somewhere!! I went with some white and some snow!! This WPlus9 Merry Ornament Shaker Die is so super cute and fun to play with. To create this card, I die cute the shape out of the white cardstock. Then I used We R Memory Keepers Fuse Tool and We R Memory Keepers 4 x 6 Waterfall Photo Sleeves to create the shaker pocket. I added some Stampendous Shaved Ice into the pocket. Then I added 3M Foam tape around the shaker pocket and to the perimeters of the white panel. I attached the white panel to the red card base to finish the card off. Where is my stamping you ask? It’s on the inside of my card. The front was so pretty, I just couldn’t stamp on it so I added my stamping to the inside of my card!! I used Mama Elephant Jingle Greetings Stamp set for the inside of the card. We have two prizes to offer this month, the first is our sponsor prize. This winner will be chosen randomly from all of the entries in the challenge! The sponsor for December is: Craft Box! Thanks again for all of your support and for stopping by! Hello everyone!! I’m here today with CS Take It Make It Design Team for our CS Take It Make It: Take a Stamp Challenge for the month of November further inspire you! For this card, I stamped the image and used the primsa coloring pencils to color it in. I then used the gamsol to blend out the colors. We have two prizes to offer this month, the first is our sponsor prize. This winner will be chosen randomly from all of the entries in the challenge! The sponsor for November is: The Artistic Stamper! Hello everyone!! I’m here today with CS Take It Make It Design Team for our CS Take It Make It: Take a Stamp Challenge for the month of November. This Neat and Tangled Beary Merry stamp set is so cute and I had to use it for this challenge. This bear is so cute and the fact that he can hold the different objects in the stamp set makes it even better. I used Prisma Color Pencils to color in the bear and the gingerbread man. The colors I used were Goldenrod (PC1034), Light Aqua (PC992), Chocolate (PC1082), Warm Gray (PC1050), Cool Gray (PC1059) and Crimson Red (PC924). I used Gamsol to blend all of the colors out. Then I used a PenBlade to trim one of the bears hands so that he could hold the gingerbread man. I lifted the bear’s hand slightly and slide the gingerbread underneath it. He stayed put. I love the size of this card. It measures 2.50 x 5.25. To get the card started, I stenciled the background using one of Tim Holtz Mini stencil set 7 and distress ink: Squeezed Lemonade, Fossilized Amber, Spiced Marmalade and Ripe Persimmon. Then I stamped So Suzy Stamps Girl With Balloons using Colorbox Archival Wicked Dye Ink. Then I stamped So Suzy Stamp Take Flight sentiment using Colorbox Archival Wicked Dye Ink. We have two prizes to offer this month, the first is our sponsor prize. This winner will be chosen randomly from all of the entries in the challenge! The sponsor for September is: Visible Image. This beautiful stamp set called Loving Mom from Kennedy Grace Creations whom I found on Instagram. I love how life-like these flowers look, so I had to color them. I stamped each of the flowers using Colorbox Archival Wick Dye Ink and colored each of the flowers with Tombow Recycle Color Pencils. With these pencils, its so easy to blend colors. They create such vibrant colors. Adding the white gel pen dots are a super fun addition that makes the flower petals stand out. Super easy and relaxing to make!! I’m also entering Darnell’s NBUS Challenge #7!